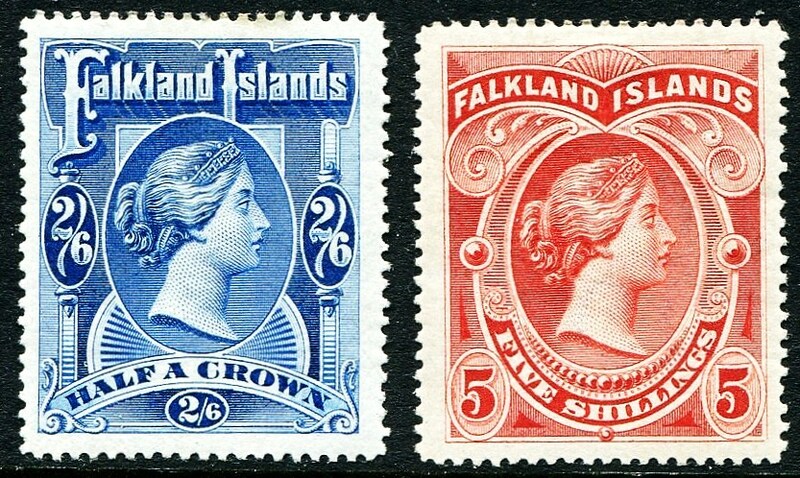 In 1898, the Falklands issued two high value stamps portraying Queen Victoria (Scott #21 and 22). 6,000 of each were issued, and Scott '13 prices them unused at $300.00 and $240.00 respectively. I recommend purchase of either, in NH, LH, or used condition. These were pricey stamps at a time when the average worker made about 10-20 shillings per week. Most were probably used either as revenues or as postage on heavy packages and discarded. Those interested in becoming part of an international community of stamp collectors, dealers, and investors are welcome to join the "Stampselectors" group page at Facebook. The page hosts lively discussions concerning stamp investment and practical aspects of collecting, and is an excellent venue for those who wish to buy, sell, or trade stamps.